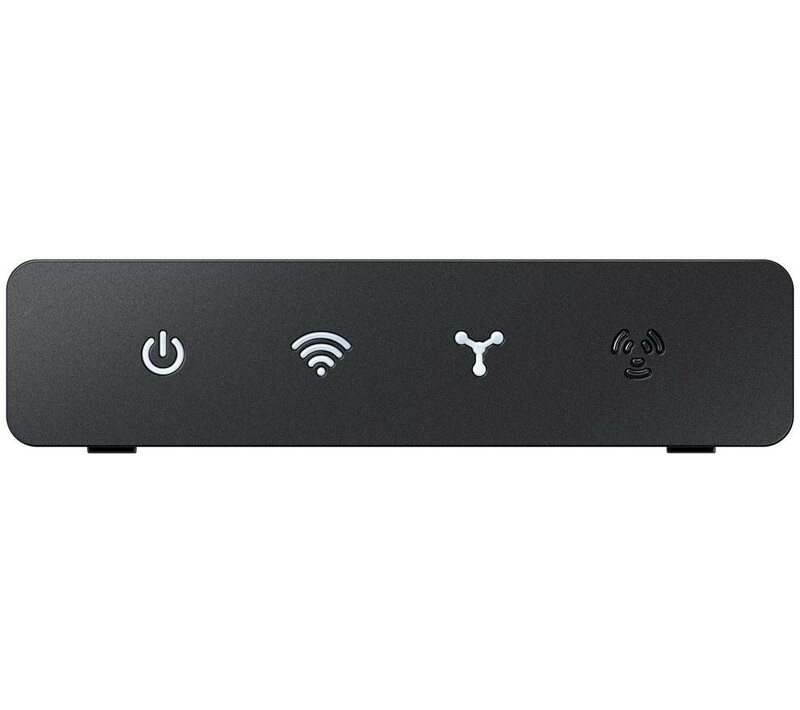 The SAMSUNG WAM250 Wireless Multiroom Audio System Hub is a small standalone box that works to allow you to connect multiple SHAPE speakers into a multi room system. Just plug the hub into your router and connect via the app to group and control your speakers. To connect all your speakers throughout your home, all thats needed is one easy-to-use hub. Play all your favourite tracks wirelessly and use all your favourite online music-streaming services. The SAMSUNG WAM250 Wireless Multiroom Audio System Hub also gives you different modes of listening, including Zone Play and Party Play, letting you play tunes simultaneously on all speakers around your home or just in one room.